Dr. Irv Rubenstein, exercise physiologist, is co-founder and president of S.T.E.P.S., Inc., now known as STEPS Fitness, Nashville’s first personal training center. He is a certified personal trainer (ACSM-H/FI, NSCA-CSCS, NSCA-CPT, NSCA-CSPS, ACE-CPT, AAHFP-Post-Rehab Specialist) and national presenter of continuing education seminars. Dr. Irv comes to fitness through years as a martial artist, achieving a 6th Dan Black Belt in Tae Kwon Do under Master Haw Tae-Whae at Vanderbilt. He was the co-producer of an instructional video on the use of exercise tubes for Exercise Etc. Dr. Irv (as he is called on the speaking circuit) has co-authored chapters for several personal training textbooks and has published and been featured in fitness articles in Professional Personal Trainer magazine, NSCA’s on-line magazine, Vogue magazine, and local publications.He created a dynamic medicine ball and stability ball routine called “Rock, Roll ‘n Reggae”. In Nashville, Dr. Irv has served on the board of the Middle Tennessee Arthritis Foundation and is a board member of the Eating Disorders Coalition of Tennessee as well as a co-chair of its education committee. Scott received a B.A. in Music (Trumpet Performance) from Louisiana State University. He is a Certified Strength and Conditioning Specialist (NSCA-CSCS). Scott is a 3rd Dan Black Belt and instructs the Vanderbilt Tae Kwon Do Club. He was also a former Adjunct Instructor of Women’s Self Defense for Belmont University’s Health and Human Performance Department. Scott was one of the first STEPS personal trainers, and continues today, having brought his understanding of the body, and ability to teach movement, to a level that few achieve. In addition to training clients of all ages and abilities, he also manages the STEPS website you are reading right now. Incorporating his own athletic background and extensive study of therapeutic exercises, Scott has developed a style of training suitable for post-stroke victims or middle-aged athletes. Scott’s eclectic approach and humor make for entertaining as well as informative training sessions. Colleen received a B.A. in Vocal Performance from Ouachita Baptist University and an M Ed. from Louisiana Tech. Her professional certifications include Certified Personal Trainer (NSCA-CPT) and NETA Group Fitness Instructor/water aerobics. She is also a certified instructor of Rock Steady Boxing for Parkinson’s and teaches several classes/week here at STEPS Fitness and in Cool Springs. 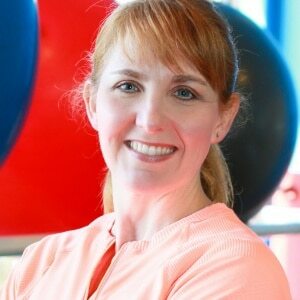 Colleen brings her many years of experience as a high school teacher and group fitness instructor to her work as a personal fitness trainer. She likes to help her clients get and stay in the best shape of their lives through innovative and yet comfortably challenging exercises. 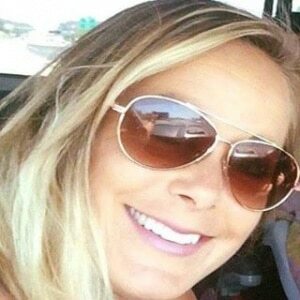 Amanda received a BS in Exercise and Sport Sciences from the University of Florida, where she specialized in athletic training, and worked with Florida Softball, as well as high school and club sport athletes. She also worked as an intern athletic trainer at Vanderbilt University with Football, Women’s Lacrosse, and Men’s Soccer. She is certified by the National Athletic Trainer’s Association (ATC) and the National Strength and Conditioning Association (CSCS). Amanda believes fitness, in addition to making lifestyle changes, is the best way to live a full, healthy life. She tailors her workouts based on the goals and needs of each client, employing her background skills as an ATC while also making the sessions fun and functional. Latina received a BS in Human Ecology from UT Knoxville, where she was a key contributor to the Lady Vols basketball team’s 1996 national championship victory. She received a Masters in Secondary Health Education from East TN State University, a Masters in Marketing from Strayer University, and she is certified by the National Strength and Conditioning Association (CPT). Her pro basketball career was spent with the ABL’s Columbus Quest (’97 world champions) and the WNBA’s Houston Comets and Phoenix Mercury. Latina’s love of the game has her serving on the Committee for the 2014 NCAA Women’s Basketball Final Four in Nashville. Like a great coach, Latina draws from all aspects of her vast athletic experience as a player to enable and encourage her clients to reach their true potential, whatever their goals may be. Bill received a B.A. in Mathematics from Brown University, an M.S. in Exercise Physiology from the University of Alabama, and a PhD in Exercise Science with a specialty in Bio-mechanics from the University of Tennessee Knoxville. He is certified by the American College of Sports Medicine (ACSM-H/FI) and the National Strength and Conditioning Association (NSCA/CSCS). Bill has extensive experience in high school and college level athletics. He has served as football, strength, and wrestling coach for Nashville’s Brentwood Academy, and worked with the strength and conditioning staff for the football program at UT. He also spent two summers assisting Mark Neemish, strength coach for the Nashville Predators, increasing his already broad range of athletic understanding. Working with people of all ages, Bill possesses a profound understanding of orthopedic injury and how to train for prevention as well as post-rehabilitation. His ability to progress even the most deconditioned person to exercise makes Bill an asset to clients and trainers alike. Ivy joined the STEPS Fitness team in July 2005 to help manage the operations and functions over, under and beyond those that take place on the gym floor. Her invaluable office skills combined with her mild if not outrageously contrarian demeanor have made her instrumental to the mood of the facility. She brings a sense of calm during the storms, be they economic, interpersonal or just Irv’s rare flashes of insecurity, and makes people smile simply by being her authentic self. Without Ivy’s presence, STEPS is just a gym. With it, STEPS is the funnest gym in town. Hannah was born and raised in Nashville, TN. She attended Samford University and received her B.S. in Kinesiology and minored in Nutrition and Dietetics. 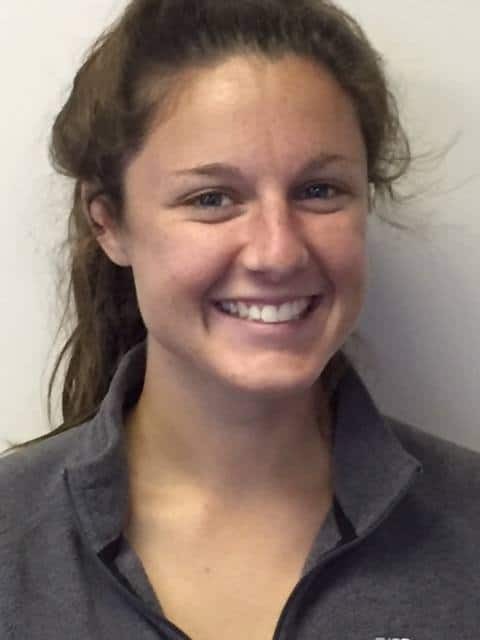 After doing an internship at STEPS Fitness her senior year in college, Hannah got certified as a Personal Trainer through the American College of Sports Medicine (ACSM-CPT). Hannah believes health is a combination of a healthy diet and regular exercise. As a distance runner since middle school, she has completed several half and full marathons, living her philosophy of health to the hilt. Hannah has been assisting and leading the Rock Steady Boxing for Parkinson’s classes at STEPS since late 2016. She has found that working with this population of special needs individuals has been as rewarding as it has been educational. She continues to train clients of all abilities and ages, and truly enjoys being part of client’s fitness journey. When Hannah is not training others, she continues to enjoy her own running regimen, working at lululemon athletica, and assistant coaching for Nashville Youth Athletics(NYA) cross country and track. Stephanie graduated from MTSU with a Masters in Exercise Science. With a passion for Natural Wellness, she continues to study Holistic and Alternative Therapy with a focus on Macrobiotics in Philadelphia at the Strengthening Health Institute. In addition, she offers private and group cooking classes that focus on all natural macrobiotic cooking. Stephanie has worked with diverse populations including cardiac rehab, pre- and post-bariatric surgery, children, athletes, and general population. 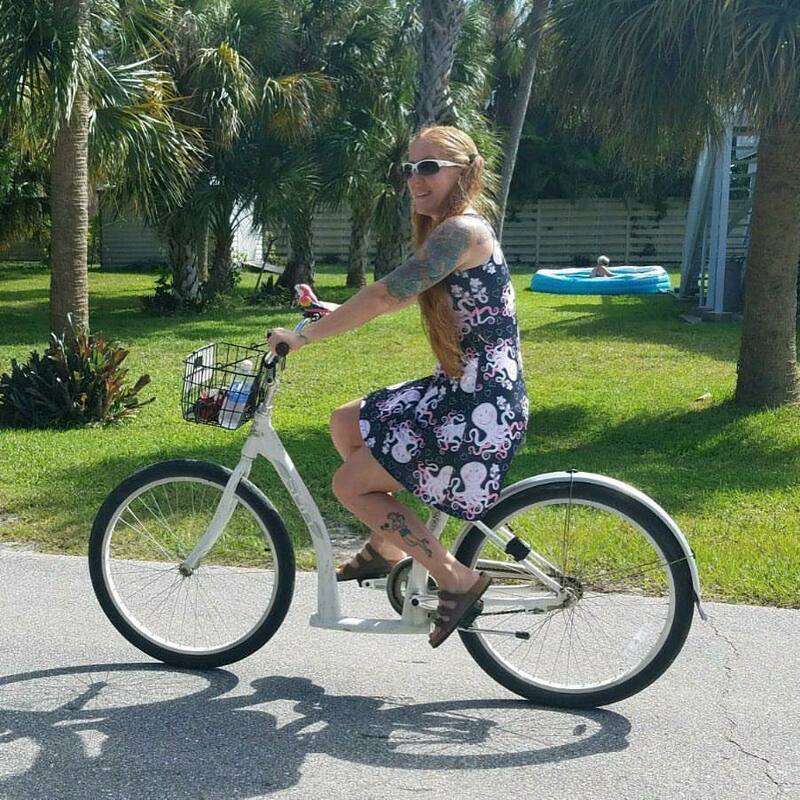 She loves to do anything outdoors, vacationing in Anna Maria Island, and being with all of her family and friends. Donald received a B.S. in Human Performance and Sports Science from Tennessee State University. He is an enthusiastic athlete and former collegiate football player. Donald also performs fitness assessments at the Vanderbilt University Wellness Resource Center. He believes in keeping workouts fresh and enjoyable while attaining personal goals. Donald brings a quiet, almost gentle approach to punishing and demanding exercise sessions suitable for people at all levels of fitness. STEPS Fitness houses four providers of adjunctive health and wellness services. Each provider is an independent contractor working on the premises. Below is a list of those services and the providers’ contact information. Dr. Preston Wakefield, a licensed chiropractor, was Nashville’s first certified ART practitioner. He has worked with professional athletes – the Tennessee Titans, the Nashville Predators – and amateur athletes, specializing in golf and tennis players. However his therapeutic hands have been helping Nashvillians and people all over the Southeast who have any variety of musculoskeletal aches, pains and tweaks. You can make an appointment by calling him at 615-335-5939. Nan Allison, R.D., has been a mainstay of diet and nutrition advice in Nashville for over 25 years for those trying to manage their weight from any direction – to lose or to gain healthfully. She was a founding member of the former Eating Disorders Coalition of Tennessee (EDCT), now known as Renewed, and has been helping many with eating disorders such as anorexia and bulimia, as well as obesity, find peace with food. She and her team of registered dietitians continue to counsel and advise patients in a professional and caring environment to help them deal with body image issues and food-related behaviors. Nan can be found at www.nanallison.com or reached at 615-861-9146. Having a personal trainer is more than just about trusting someone else to hold you accountable for your fitness goals and health achievements, it’s about finding a person who communicates with you effectively on a number of major health and fitness concerns like proper posture, nutrition, and activities that best meet your individual needs. Everyone has different needs and abilities, and everyone deserves to have a professional personal trainer who understands them and is willing to put in the time and work to find a personalized life improvement plan that you can not only stick to, but thrive in. At STEPS Fitness, our mission is simple, to help people of all skill levels and walks of life see real life benefits to exercise in the hopes that one day we can live in a healthier society. We work tirelessly everyday to play our part in contributing what we can to that goal by providing the most intelligent, experienced, compassionate, and motivated personal trainers. Now, it’s up to you to take advantage of this truly life-changing opportunity. See results in as little as three sessions with the help of professional personal trainers at STEPS Fitness. STEPS Fitness is excited to introduce our incredible personal trainers to the residents of Nashville, Tennessee. Whether you live in East Nashville, Downtown, Midtown, Gulch, Germantown, Green Hills, West End, Melrose, or any other micro-community within Nashville, you know what it’s like to have a little taste of everything. The diversity of each neighborhood and village offers the chance for residents of Nashville to celebrate their unique cultures together. Various events and festivities all year long draw in crowds made up of both members of neighboring communities as well as tourists. Between the boutiques, eateries, and endless entertainment, you can visit every neighborhood in Nashville and never feel like you did the same thing twice. Providing a unique experience for residents and tourists has always been a striving effort for Nashville, and with the help of a number of smaller communities and the individuals who help make those communities unique, it is one in which they have continued to succeed at. Whether you plan to live, work, or just play around in Nashville, you certainly won’t be disappointed.